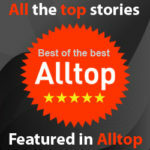 Home | Elevator Speech | The One-on-One Elevator Speech. . .
That is a “Speaking Opportunity” where a varying number of people are in attendance. 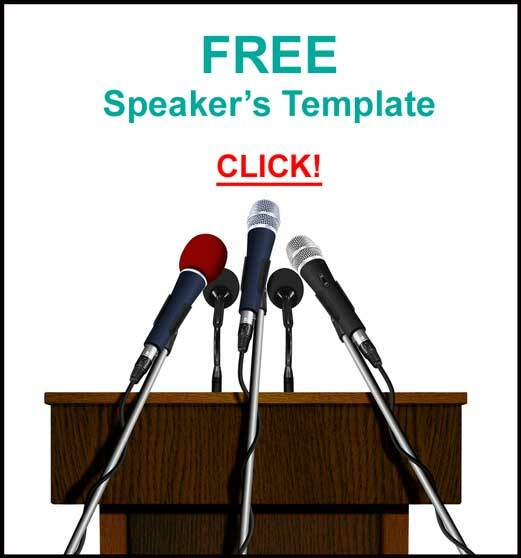 The time to present your personal infomercial is usually fifteen to ninety seconds. Your goal is to have everyone know exactly what you do. Then they can decide if it’s something they want more information on, or not, and would be comfortable referring you to someone who might be a prospect. 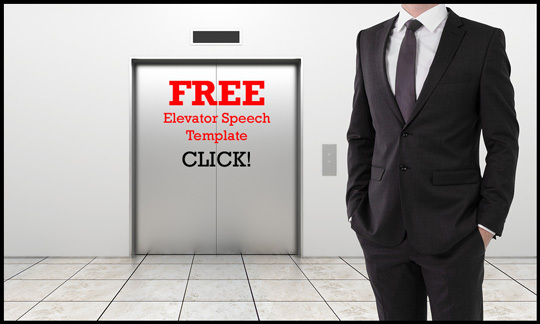 If you don’t have an Elevator Speech, or want to tweak your present one, Here is a proven Elevator Speech Template and Worksheet. The One-on-One Elevator Speech is different and challenging because of time constraints, the number of people hearing it (only one), and the goals. 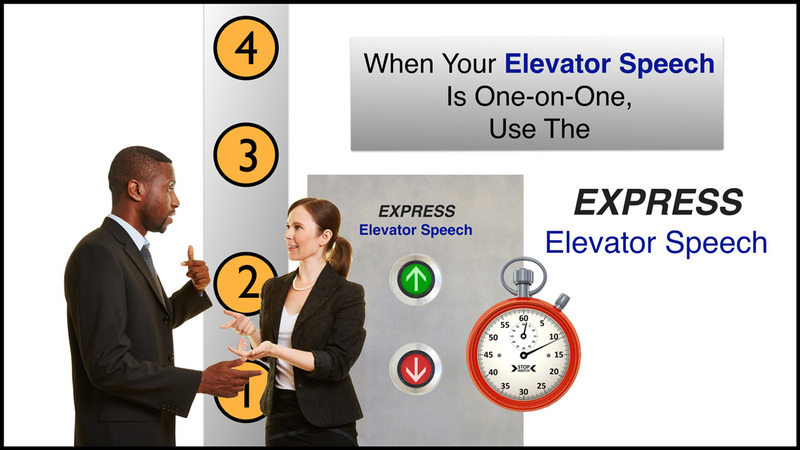 If the Elevator Speech is a mini-presentation, the One-on-One Elevator Speech is a micro-presentation. One of the challenges in these situations is to meet as many prospects as possible, and not to waste major time on minor possibilities. Selling, if it is to occur, will be later, after you’ve had a conversation where you’ve discussed the details of your offerings and the investment. SPAMMING is sending unsolicited messages, especially advertising. You’ve listened to someone go on and on with their Elevator Speech telling you about all the products, services, and benefits you’d receive if you did business with them, haven’t you? 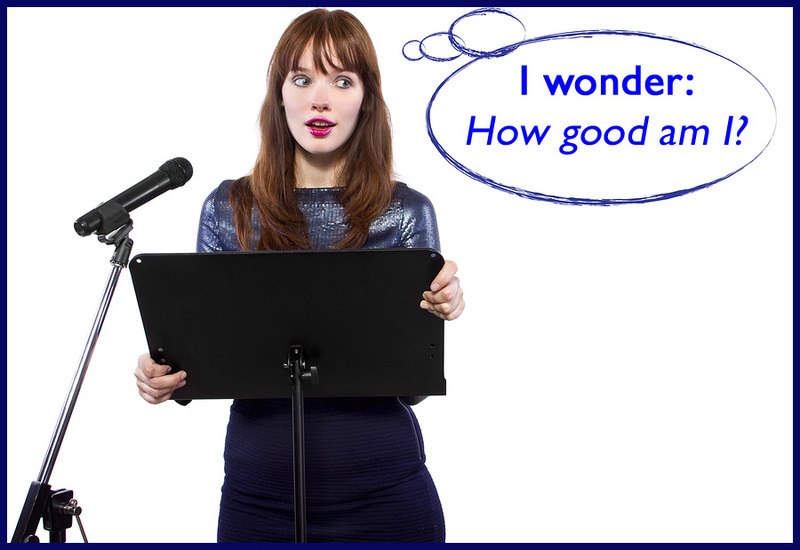 Don’t do that to anyone listening to your Elevator Speech! 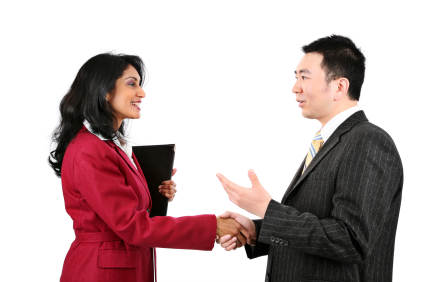 The recipient of your Elevator Speech should know precisely what you do. Use plain, simple language and avoid buzz words, acronyms, and techno-speak. You won’t impress people with words they don’t know. You’ll lose them! If they don’t GET IT! they’ll never be a prospect. Three sentences, maximum, should let you both know if a future conversation should be considered and scheduled. Everyone is not a prospect for your products and services. You are not a potential buyer of every offering you hear. Disqualifying people is a good thing! Try to use Your WHY. Your WHY is also the fifth floor on your Elevator Speech Template. Bottom line: If someone I’m delivering my Elevator Speech to doesn’t agree with that statement, the odds are, we won’t be doing business. That’s OK, and time we both move on and talk to others. Use a Question that Asks for a Response. Here is My One-on-One Elevator Speech. I prefer the words “Hire Me” instead of. . .
“I work with people who. . .
“I help companies. . . Hire Me makes it clear I don’t do this for free! Hire Me can be an excellent Dis-Qualifier, especially with the One-on-One Audience. If Hire Me turns them off – fine! Businesses and individuals pay me to. . . Businesses put me on their payroll to. . .
People give me money to. . .
People become my patients. . . Individuals and companies become our clients. . . 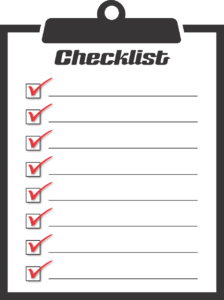 Homeowners have their major appliances serviced by us. . .
Non-Profits might say. . .
People write us checks. . . Individuals give us money. . .
Companies donate to us. . .
Service clubs volunteer for us. 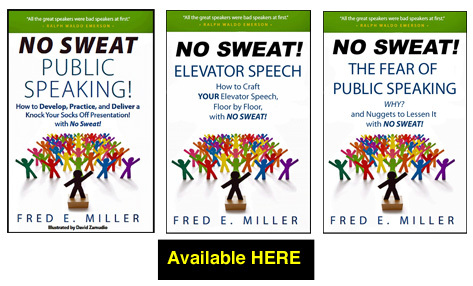 . .
You might have the greatest Elevator Speech ever developed, but if it isn’t delivered in a manner that quickly educates, entertains, and explains it well, your recipient, they will never GET IT! 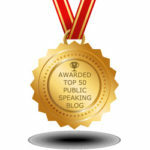 Your next step is to Practice – Practice – Practice delivering your One-on-One Elevator Speech. Use this formula and I guarantee it will be absolutely, positively – NO SWEAT! 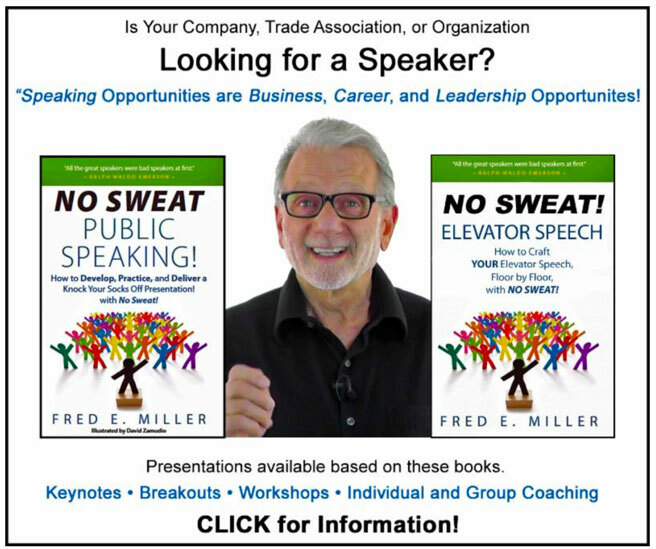 I am so grateful that I discovered Fred Miller on LinkedIn as a result of Jim McCraigh’s invitation for me to join the Consultants’ Connection . We never know how our blessings will come nor do we always know the source. I have been enlightened by just a few of the publications that I have read. As a result, I will get me not only opportunities that I seek to speak, facilitate, write, consult, and train, but also, the increased income that I am worth. Thank you very very much for sharing your knowledge with us. You are the best and I hope to meet both you and Jim real soon this year.